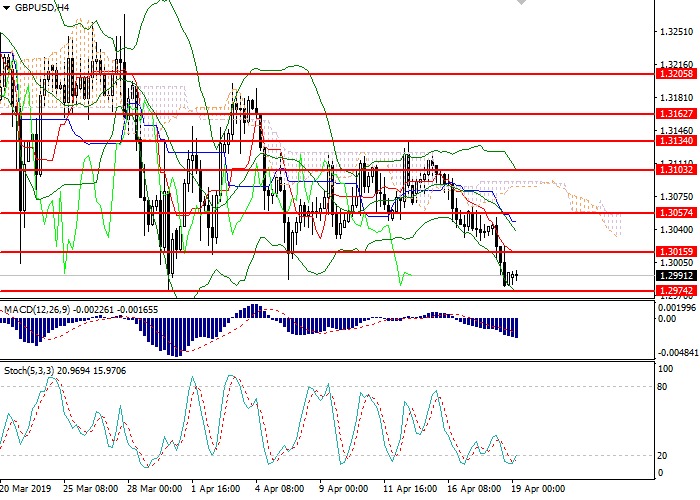 EUR showed ambiguous dynamics against USD on April 15, ending the day session with almost zero results. Monday's macroeconomic background remained relatively calm, so investors concentrated on Friday's publications and criticism of the Fed by US President Donald Trump. He has repeatedly opposed tightening the monetary policy, noting that the US economy does not need a substantial strengthening of the dollar. According to Trump, the rate hike adversely affected the US economy and impeded the growth of the stock market. Today, the pair again trades in both directions, waiting for the appearance of new drivers on the market. They are, in particular, the publications on ZEW sentiment indices from Germany. In April, sentiment in the business environment is expected to improve noticeably, and the index will strengthen from the previous -3.6 to 0.8 points. Bollinger Bands in D1 chart show moderate growth. The price range is expanding, but the instrument is only now returning within its borders, which may indicate risks of development of correctional dynamics. MACD indicator is growing preserving a stable buy signal (the histogram is above the signal line). Also, it is trying to consolidate above the zero line. 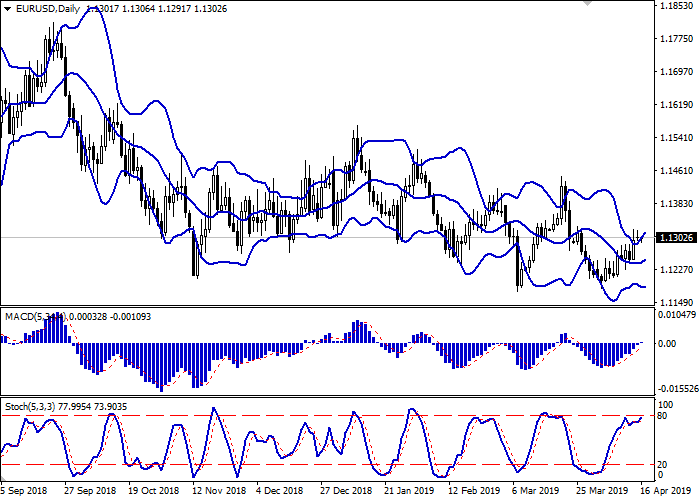 Stochastic keeps an uncertain upward direction, approaching its maxima, which also indicates the possibility of a corrective decline of the euro. One should keep existing long positions until clarification. Resistance levels: 1.1322, 1.1343, 1.1370, 1.1400. Support levels: 1.1285, 1.1253, 1.1228, 1.1205. 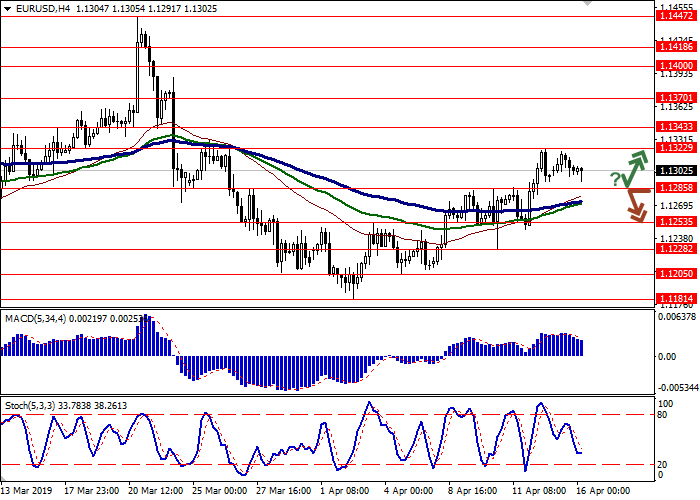 Long positions may be opened if the price moves away from 1.1285, as from support, followed by the breakout of 1.1322. Take profit – 1.1370 or 1.1400. Stop loss – 1.1300 or 1.1285. The breakdown of 1.1285 may serve as a signal to further sales with the target at 1.1228 or 1.1205. Stop-loss – 1.1310.